Shangri-La's Fijian Resort still is, and it is definitely worth a visit. We did two exciting things on this trip, first we booked a 3 day tour to a secluded Island on a big sailboat - in between the hotels. 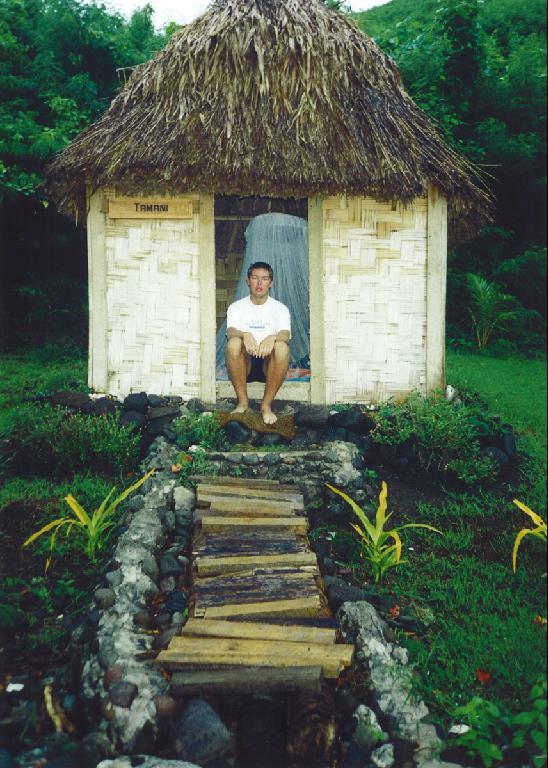 Every night we stayed at the Island, which had no electricity and no hot water. Each couple, I think we were 5 couples, got a little "hut" to stay in and a flashlight, and of course it was my duty to go in and check for scorpions, spiders and other creepy crawlies before she would come in. We just had one "bed" in this little hut and a mosquito net ........ that was it. Of course we were also swimming in the perfectly clear and dark blue waters. This was really really good, and something everyone should experience once in their life.